I now have enough bread in my freezer to last me a few months. I just reorganized my freezer so that I can add more to the "collection". I now have bagels, olive bread, fruit cake, chocolate croissant, plain croissant, plain brioche, sweet potato brioche, banana bread, corn bread, lemon poppy muffins, foccacia and ciabatta. 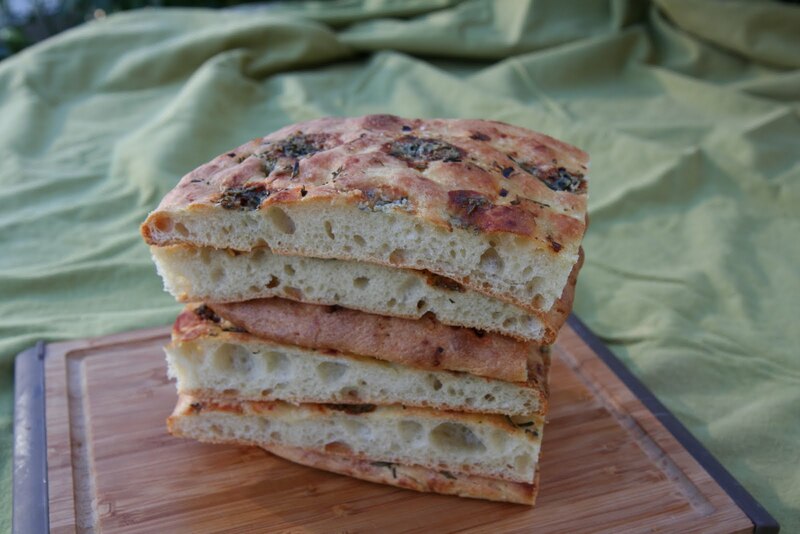 Adding to the collection today... Foccacia. It smells so delicious and tastes incredible. In my version (we were allowed to add our own toppings) I incorporated fresh rosemary, blue cheese, crushed red pepper and fleur de sel. 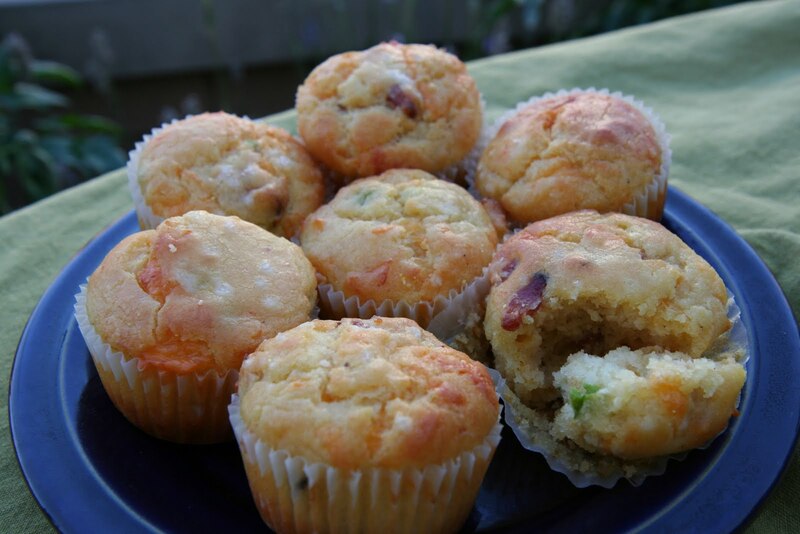 In the cornbread, I added bacon, cheese and jalapeno. Unlike other cornbread which I've had recently, including the blue cornbread at Mesa Grill, which tends to be dry this cornbread is surprisingly moist and flavorful. I had very low expectations on the outcome when I was making this cornbread just because I haven't had much luck with cornbread in general, but I was pleasantly surprised. This is a keeper recipe and it's making it into my freezerful of bread collection. 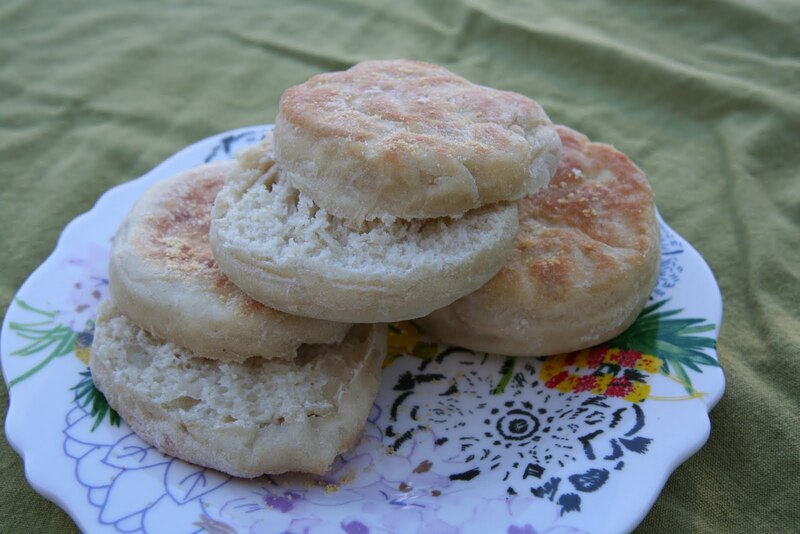 I love to use English muffins for my burgers and these turned out beautifully. I must admit that it does not quite have the "moonscape'ish" interior like Thomas English Muffins. I am saving these for my next BBQ. In the freezer it goes. We baked the banana bread/muffins for breakfast this morning. What a great way to start the day. It's moist and delicious. It has bananas, so considered "healthful" breakfast? 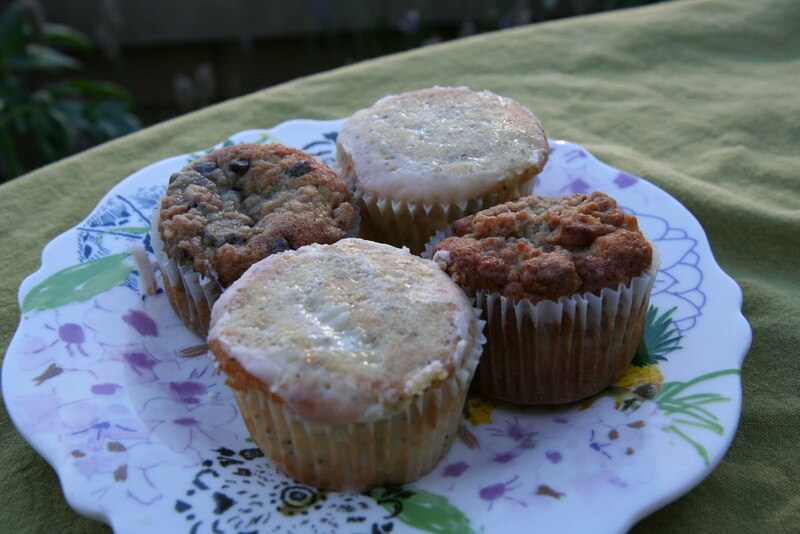 I haven't tried the lemon poppy muffins yet... I'll save them for breakfast tomorrow morning. Vince (my husband) just asked me what we should have for dinner... should I say one of the above?